Bitter but true words – anyone can be an engineer but excellent engineers have a few inherent traits that make them stand out from the crowd. This is the most important quality an engineer should possess. Engineers are destined to find the most efficient solution to a problem, which can only be possible by having analytical skills. 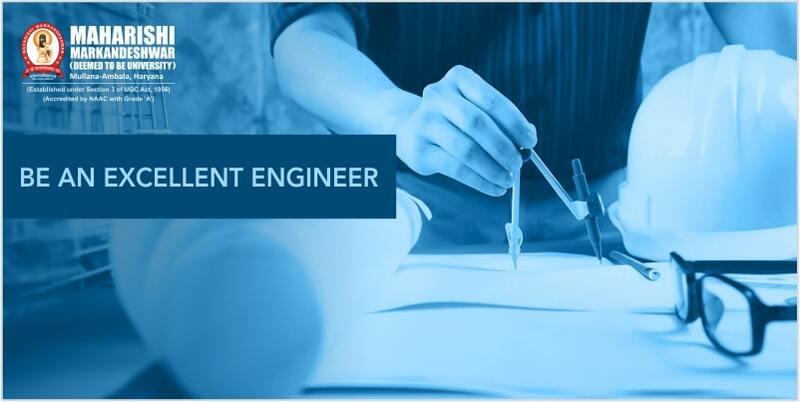 If you are the one who can plausibly pick problems and get optimal solutions for them – we must congratulate – you might be an ideal engineering aspirant. Engineering embroils complex calculations of varying difficulty. Right from computer engineering to civil engineering, an aspirant is required to toy with countless numbers and equations. Thus, you must be a math whiz to become an excellent engineer. It may be harsh, but if you are not good at communications skills, you may find a lot of problems. To become excellent engineers, it is requisite from aspirants to communicate effectively to colleagues and clients, as well as be a walking encyclopaedia of complex technical terms. Excellent engineers are super curious and creative. They have the knack to think out-of-the-box and come up with innovative and pioneering ideas. If you want to join the league of excellent engineers, you must be determined to research, understand problems, and effectively find their solutions, hence curiosity and creativity are mandatory. Strong team players are the mainstay of any team and engineers usually work in a team. So, to make your project extremely successful, you must master the skill of efficiently working in a team. By showcasing such skills, you are more likely to fetch rises and promotions. If you believe you have all the abilities cited above then no one can stop you to accelerate in engineering. If lacking, it’s never too late! Embark now and take yourself to the group of excellent engineers by mastering the said qualities.